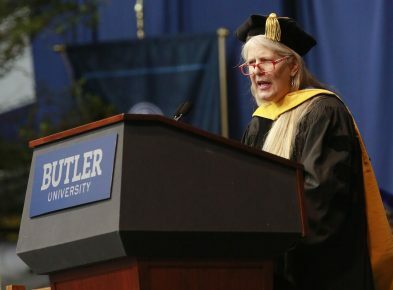 Your brain is an “amazing energy-processing machine” that lets you decide who you want to be in the world, Dr. Jill Bolte Taylor told Butler University’s Class of 2016 at commencement ceremonies on Saturday, May 7, in Hinkle Fieldhouse. Taylor, a renowned brain researcher who suffered a stroke in 1996, said the brain’s hemispheres divide tasks. The left brain is where we get the ability to analyze, master details, judge critically, and think linearly. The right brain is the big picture side—the intuitive, gentle side. In the coming year, Taylor will collaborate with the University on One Butler: The Brain Project, a yearlong, campus-wide initiative that will focus on brain health and the impact neuroscience has on all areas of our lives. Taylor and other experts in subspecialized areas of neuroscience will speak throughout the year. A sculpture installation of Big Brains! will be on display in spring 2017. Butler University graduated 996 students on Saturday, May 7, during commencement ceremonies at Hinkle Fieldhouse—262 from the College of Liberal Arts and Sciences, 89 from the College of Education, 257 from the College of Business (now the Lacy School of Business), 173 from the College of Pharmacy and Health Sciences, 95 from the Jordan College of the Arts, and 120 from the College of Communication. “This is a team game, always,” he said. Associate Professor of Biology Jennifer Kowalski, who gave the faculty address, suggested that the graduates “be fearless and take lessons from each step.” She challenged them to engage in the social and political lives of their community, tackling issues such as climate change and economic injustice. Summer break? What summer break? Just as school is letting out, Art + Design Associate Professor Gautam Rao finds himself participating in three upcoming high-profile events. 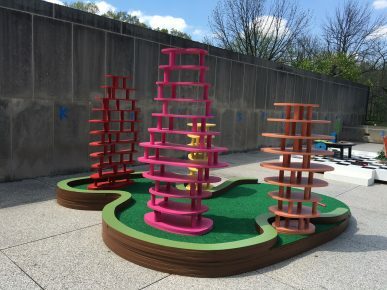 The first is the Indianapolis Museum of Art’s miniature golf course, which opens to the public May 10. The course features 18 holes designed by local and regional artists, including Rao, who designed a hole called “Poplar Mechanics.” Rao’s design is inspired by Indiana’s woodlands and celebrates the state tree, tulip poplar, and the verdant forests of Brown County. 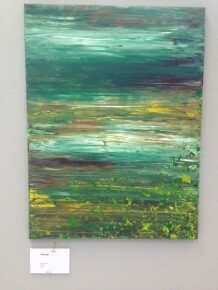 It features abstract trees that recreate Indiana’s landscape in a subtle, artistic manner. 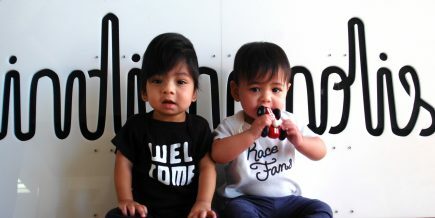 Rao also was one of 33 Indiana artists selected to design an artwork as part of the Welcome Race Fans project for the 100th running of the Indianapolis 500. These works will be exhibited all over town. His piece has appeared at the Indianapolis ArtsGarden, the International Airport and the Harrison Center for the Arts. And Rao will be exhibiting an outdoor artwork in this year's Installation Nation at the Indianapolis Art Center. Installation Nation is a 23-day exhibition presented by Primary Colours featuring site-specific art installations to be located on the grounds of the Indianapolis Art Center’s 9.5 acre ArtsPark. Rao joined the Butler faculty in 2004. He is originally from Washington, DC, and has also lived in Bangalore, India. He earned a BFA at Boston University in 1999 and an MFA from the University of Pennsylvania in 2002. His distinctions include a Susan Coslett Cromwell Traveling Fellowship, and awards from the Marie Walsh Sharpe Foundation and the National Foundation for Advancement in the Arts. He recently exhibited his work at the Art Director's Club in New York, the Indianapolis Museum of Contemporary Art, The South Bend Art Museum, The Swope Art Museum, and in Typeforce 5 in Chicago. Butler University’s College of Business has been renamed the Andre B. Lacy School of Business, in recognition of a $25 million commitment from the Chairman of the Board of Indianapolis-based LDI, Ltd (Lacy Diversified Industries) and his wife, Julia, Butler President James M. Danko announced today. In addition, Lacy will serve as senior adviser to the School of Business. The gift is Butler’s largest ever from an individual or family. In 2015, Butler was recognized by U.S. News and World Report as the Midwest’s most innovative school, and among the best in the nation for internships, study abroad, and undergraduate research. Just last week, Bloomberg BusinessWeek ranked Butler’s School of Business No. 1 in the nation for internships, and the School’s 2015 graduating class achieved a 99 percent placement rate. “We hope this investment further establishes the Lacy School of Business—and Butler University overall—as the premier destination for students, faculty, employers, and community partners in Central Indiana and across the country,” Lacy said. Lacy has worked with Butler for more than a decade, serving on the Butler Business Consulting Group Advisory Panel and endowing a student scholarship within the School of Business. As part of this new partnership, Lacy will serve as a direct resource to the Lacy School of Business and Butler University community. Stephen Standifird, Dean of the Lacy School of Business, said that Lacy will be an extraordinary asset to the School as senior adviser. “To do what we do well, we must have a strong group of people in the business community who are willing to advise us on what’s really happening—the dynamics of the marketplace, how we can increase connections with industry, and continue to be relevant,” Standifird said. “I can’t think of anybody better suited for that role than Andre Lacy. He is passionate about closely held business and developing the next generation of business leaders. We share these passions, which makes for a great partnership." Lacy said he sees his new role at Butler as an opportunity to pass down what he’s learned and what he knows. Two areas of particular focus for Lacy and Standifird will be helping the School build upon its signature experiential approach to teaching and learning, and expanding its focus on closely held businesses. In the School of Business, students create a business plan their first year, launch a company as sophomores, and complete at least two internships before graduation—a series of experiential requirements unmatched in the business school landscape. Butler President Danko said Lacy’s approach, which stresses leadership, character, and integrity, strongly aligns with The Butler Way. "Andre Lacy has demonstrated through his business success, community leadership, and principled life a strong conviction to improving society and the well-being of others,” he said. “The financial commitment from Andre and Julia is extraordinary, but of equal or even greater value will be the everlasting alignment of the Lacy name and Butler University." Butler University’s College of Business is the top-ranked business school in the country for internships, according to Bloomberg Businessweek’s 2016 rankings. Bloomberg defines an internship as a work experience that accumulates a minimum of 120 hours of work within a six-month (consecutive) period, in which a student receives supervision and/or mentorship and in which the student applies his or her knowledge and skills learned in college. An internship may be paid or unpaid and may be for credit or not for credit. A student’s work on his or her own start-up business qualifies as an internship if it meets the other stated criteria. In Butler’s experiential approach to teaching and learning, students in the College of Business create a business plan their first year, launch a company as sophomores, and complete at least two internships before graduation—a series of experiential requirements unmatched in the business school landscape. Manuscripts, Butler University’s undergraduate literary magazine, won three awards at the Indiana Collegiate Press Association (ICPA) conference on April 9. The three awards all came from the Spring 2015 issue of the magazine. 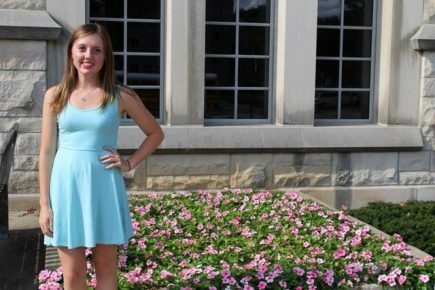 Manuscripts won first place in the category of Best Short Story, for a piece named “Grown-Ups” written by IUPUI student Olivia Emerich. The magazine also won first place in the category of Best Overall Design for designers Emily Yoo and Emily Farrer of Butler University. Manuscripts finished in third place in the category of Magazine of the Year. Manuscripts has made a resurgence on Butler’s campus in the past two years, with the Spring 2015 issue being the biggest that Manuscripts has ever published. "It was a challenging process to design a literary magazine from scratch--we spent so many hours choosing fonts alone,” Editor-in-Chief Emily Yoo said. 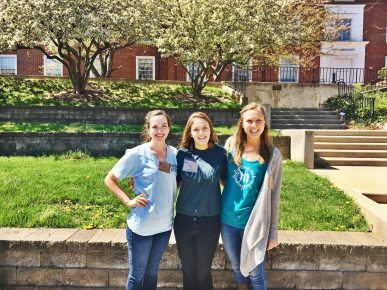 “(Associate Editor) Emily Farrer and I both agree that it was an unforgettable learning experience, and that we wouldn't have won an award without the support of our wonderful staff and faculty." 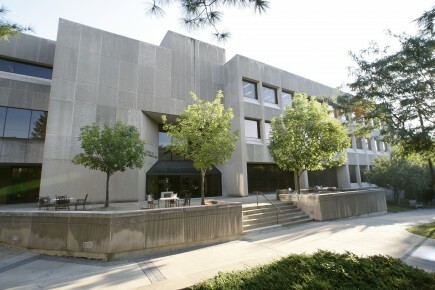 Manuscripts has been at Butler since 1933, and was originally called The MSS. At the time, it was published quarterly, but is now published once a year during the spring semester. In the past, Manuscripts only published the work of Butler students, but in the past two years the magazine has started accepting prose, poetry, and art submissions from all Indiana undergraduate students. The Spring 2016 edition of Manuscripts will be released on April 26. For more information, visit blogs.butler.edu/manuscriptsbu or facebook.com/manuscriptsbu. Butler University today became the first Fair Trade Designated campus in Indiana, agreeing to use and sell products such as coffee, chocolate, and clothing that were grown, harvested, crafted, and traded in ways that improve lives and protect the environment. Fair trade items such as Barkthins dark chocolate and Alta Gracia apparel are available in the Butler Bookstore, Starbucks, C-Club and C-Store. Each of these retail locations will sell at least two food items that are Fair Trade-designated. Additionally, Fair Trade items such as sugar and coffee are being used in both campus dining halls. “This is an exciting opportunity for Butler University because Butler is the first certified Fair Trade Designated university in Indiana,” said Kylie Nealis, the national organizer for Fair Trade Colleges and Universities. The process to become Fair Trade certified has occurred over the past year, led by the Student Government Association in partnership with University Dining Services, Butler Sustainability, the Butler Bookstore, and the Office of the President. This certification aligns with the Butler University Sustainability and Climate Action Plan. “This is especially exciting because after this major milestone Butler will be able to continue adding more Fair Trade items to its menus," said Matt Proctor, Marketing Manager for Butler Dining Services. Fair trade is a social movement whose goal is to help producers in developing countries achieve better trading standards and working conditions globally. This is done to promote higher environmental and social standards. The program Butler is involved in is called A University Fair Trade Campaign. The Fair Trade certification model is designed and audited to ensure equitable trade practices at every level of the supply chain. To earn a license from Fair Trade USA to use the Fair Trade Certified™ label on their products, companies must buy from certified farms and organizations, pay Fair Trade prices and premiums and submit to a rigorous supply chain audits. This process entails a high level of transparency and traceability in their global supply chains. More than 900 individuals representing 58 colleges and universities in 11 states participated in Butler University's 28th annual Undergraduate Research Conference on April 8. The students presented in 26 subject areas, from music and English to biology and chemistry. 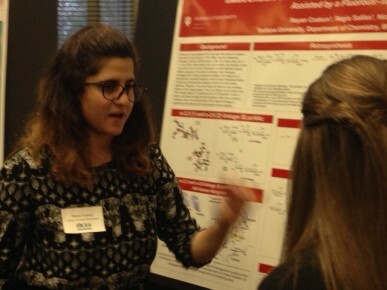 Indiana University-Bloomington student Reyan Coskun presents her poster on "Toward Efficient Chemoenzymatic Syntheses of Sialyl-a-2,3-Lactose/Lactosamine Assisted by a Fluorous-Tag Purification. 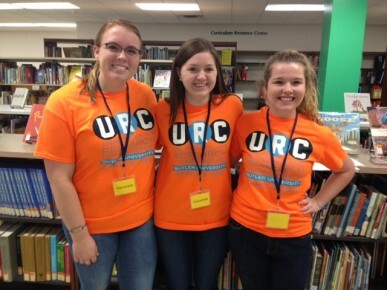 Emily Wilkerson, a sophomore Elementary Education major from Columbus, Indiana, Moriah Riggs, a sophomore Marketing/Communications major from Hernando, Mississippi, and Allissa Quick, a sophomore Pharmacy major from Terre Haute, Indiana, were among the volunteers helping out at the URC. Butler's Brittany Garrett was among the artists who artwork was on display. 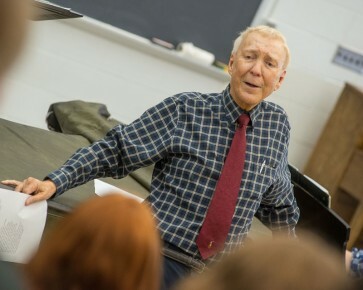 You might think that having just turned 81, Professor of Music James Mulholland would be in the winter of his career. If so, it’s a mighty busy winter. -Served a week in residency at University of Wisconsin Eau Claire, which culminated with a concert of Mulholland compositions by the various ensembles of the School of Music. 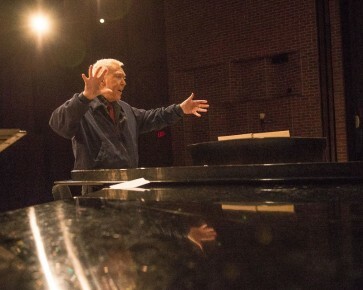 While there, he coached the all-male choral ensemble The Singing Statesmen on his latest commission for them, in honor of the group’s 50th anniversary. -Visited the University of Illinois for the 2016 Intercollegiate Men’s Choral National Seminar. Ten choirs came from all over the country, and Mulholland’s music was featured. -Attended the Gotham SINGS! Collegiate Choral Showcase at Carnegie Hall, where choirs from four universities performed selections by composers such as Mozart, Mendelssohn, Rachmaninoff, and, yes, Mulholland. He rehearsed the university choirs prior to their performance. -Hosted students from Iola/Scandinavian High School of Wisconsin, who made a two-day trip to Indianapolis to attend a choral clinic with Mulholland and tour the Butler campus. -Finished a composition for the combined Indianapolis Children’s Choir and full orchestra to perform at the retirement extravaganza for Choir Founder and longtime Butler Professor Henry Leck. While doing all this, he only missed one class. Mulholland travels frequently to work with choral groups around the country, and he is among the world’s most-performed composers. In his doctoral dissertation examining music selected by high school honor choirs, James Spillane, now Director of Choral Studies at the University of Connecticut, found that the five most-programmed composers are, in order, Handel, Brahms, Mendelssohn, Mulholland, and Mozart. In 2015, the Southern Chorale at the University of Southern Mississippi, Mulholland’s undergraduate alma mater, released a CD of his compositions called Back Home in Southern Mississippi: The Music of James Quitman Mulholland. The discs features 11 selections in which Mulholland married his music to texts by William Butler Yeats, Elizabeth Barrett Browning, Lord Byron, and others. Mulholland said he’s written the lion’s share of his more than 600 compositions on the piano in his second-floor office in Lilly Hall. 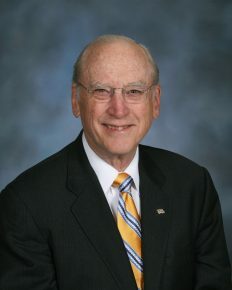 He remains enormously proud of his service at Butler, including his 41 years on the Athletic Committee, and notes that next year, one of his students will be the third generation of his family to take one of his classes. Butler University’s Center for Urban Ecology will place 48 motion-sensitive cameras at locations in Indianapolis, Westfield, Zionsville, and Carmel for four weeks every quarter beginning in April to study urban wildlife. The Indy Wildlife Watch project is being done in conjunction with the Lincoln Park Zoo Urban Wildlife Institute in Chicago and the University of Wisconsin-Madison to see how central Indiana wildlife compares with theirs. Researchers also will be looking to see how the habitat compares in different neighborhoods. For the past five years, the Urban Wildlife Institute has been undertaking a groundbreaking study of Chicago’s urban ecosystem, using camera traps and acoustic monitors to track the behavior of bats, birds, coyotes and even humans. The pictures can be seen at http://www.chicagowildlifewatch.org/. The cameras are held in metal boxes to shield them from the elements and camouflaged so they’re not an eyesore on the landscape. They are strapped around the trunk of a tree and secure with a cable and a lock. The cameras are pointed at another tree 10-20 feet away where a scented lure is attached. When animals stop to investigate the lure, they trip the motion sensor in the camera. The cameras are capable of taking a picture every 30 seconds. The pictures are stored on memory cards that will be collected and replaced every two weeks. In January, Butler’s Center for Urban Ecology tested about 18 cameras. Biology Professor Travis Ryan said the best pictures so far have come from the area around the Monon Center in Carmel, where deer, foxes, coyotes, squirrels, and rabbits triggered the camera. 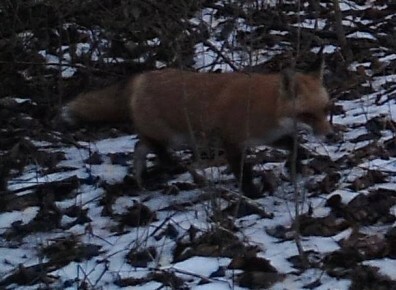 A sampling of those pictures is now available on Twitter (@indywildwatch) and Facebook (Indy Wildlife Watch). Beginning in 2017, all the pictures from central Indiana sites will be posted on a website for the public to view and help identify the contents of the photos. Butler students will be actively involved in managing the images and the cameras, and some area elementary and high schools also may participate, Ryan said. Butler students will be introduced to the project as part of an Introduction to Ecology and Evolutionary Biology class. 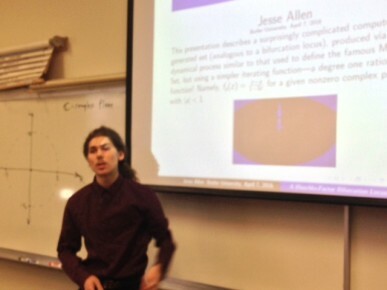 “We envision students playing an important role in the field and when we get back with the data,” Ryan said. Zoo officials approached Butler Biology Professor Carmen Salsbury about participating. Ena Shelley, Dean of Butler University’s College of Education (COE) since 2005 and a professor in the College since 1982, has been selected to receive the Edward C. Pomeroy Award for Outstanding Contributions to Teacher Education from the American Association of Colleges of Teacher Education (AACTE). The award will be presented to the Dean on February 23 in Las Vegas. The Pomeroy Award is given to a person or persons who have made exceptional contributions to AACTE, to a national or state organization involved in teacher education, or to persons responsible for the development of exemplary teacher education initiatives. Shelley provided the leadership to create the first Butler University memo of understanding between the University and the Indianapolis Public Schools (IPS) to establish Shortridge Magnet High School for Law and Public Policy (now Shortridge International Baccalaureate High School). In addition, she led creation of the IPS/Butler University Laboratory School, focused on early childhood and elementary education. She also was instrumental in bringing Reggio-inspired educational practices to Indiana through the Indianapolis Reggio Collaborative. She was able to bring an international exhibit from Reggio Emilia, Italy, to the Indiana Statehouse for a six-month stay that provided many professional development experiences for hundreds of educators from around and beyond the state. Shelley’s COE colleagues said her efforts on behalf of the College, its faculty, staff, and students have been outstanding. “If you are looking for a positive educator and advocate who challenges the status quo and works tirelessly at lifting up the greatest profession in the world, then look no further,” Associate Dean Debra Lecklider wrote on Shelley’s behalf. Shelley earned her Bachelor of Science, Master of Science, and Doctor of Philosophy from Indiana State University.